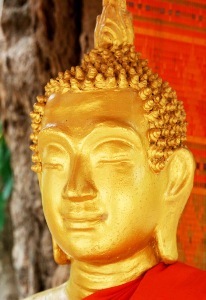 Photo Greeting Card showing Fresh, new, gold painted Buddha. Dressed and adorned at Wat Aham Outama Thany, the 'Monastery of the Opened Heart', Luang Prabang, Laos. Image on card is hi-definition, rich colour. High Quality photo printing/reproduction. This card is one in a series of 20 greeting cards based on original photography - designed, produced and sold exclusively by Vectis Karma. There are 4 cards in total in this (square)size/format - with 5 others available in a Landscape format and 11 in Portrait format - 20 in total. They are available as single items or in (cost-saving) multi-card packs. 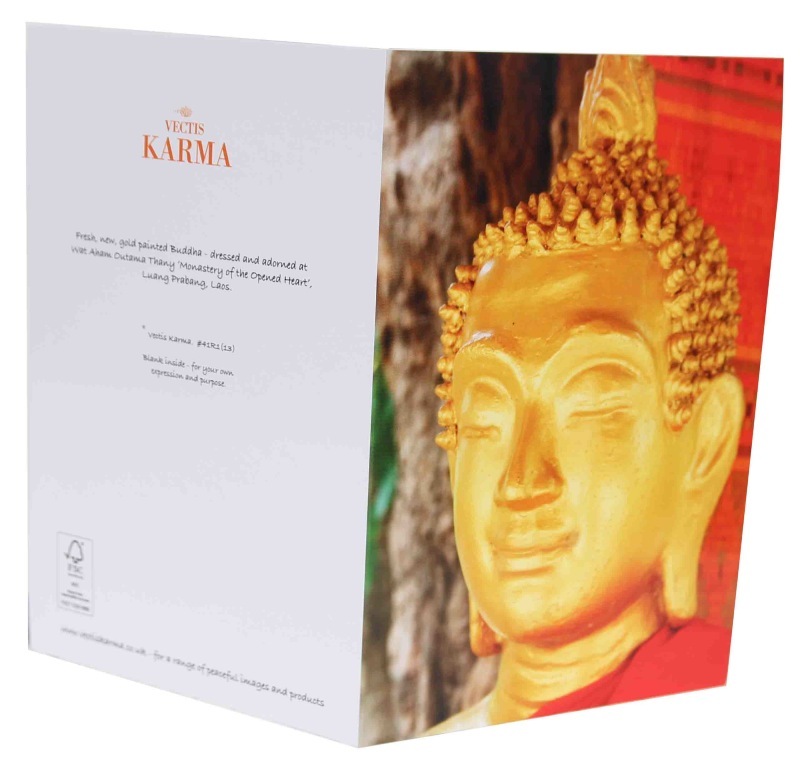 Please browse the Vectis Karma shop for further examples and details.